Bulkin V.V., Solovjev L.P., Sharapov R.V., Pervushin R.V., Kirillov I.N. Noise pollution of residential areas is becoming an increasingly serious problem. Continuous growth in automotive transport intensity, construction and industrial sites in the urban environment lead to the fact that the acoustic discomfort zone in modern cities covers up to 50 % of their territory. It is urgent to monitor acoustic noise pollution in residential areas as well as predict possible noise propagation deep into residential areas. Besides acoustic noise of the audible range, infrasound and ultrasonic waves aggravate noise pollution. When predicting acoustic noise propagation, it is necessary to consider the local meteorological parameters for specific areas of urban environment. Thus, the task of creating automatic combined monitoring systems is becoming extremely important. Noise propagation prediction can be provided by means of geographic information systems. The paper analyzes the known and possible approaches and tools for solving the problem of efficient noise pollution monitoring of residential areas. Keywords: acoustic noise, meteorological parameters, infrasound, visualization, measuring system. Mukhamedova G.R. Harakteristiki otoakusticheskoj jemissii ulic, podvergajushhihsja vozdejstviju intensivnogo proizvodstvennogo shuma [Otoacoustic emission characteristics in individuals exposed to intense industrial noise]: PhD work. –Moscow: 2006. –16 p.
Kalinichenko M.V. Nekotorye aspekty problemy zagrjaznenija urbanizirovannyh territorij avtotransportom (na primere goroda Muroma)[Some aspects of the problem of pollution in urban areas motor vehicles (for example, the city of Murom)] // Jekologija i promyshlennost’ Rossii [Ecology and Industry of Russia], 2012, №12. – P.2-5. Solovjev L.P., Bulkin V.V., Sharapov R.V. 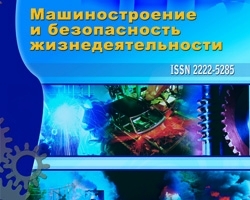 Sushhestvovanie cheloveka v ramkah tehnosfery [The existence of man in the technosphere] // Mashinostroenie i bezopasnost’ zhiznedejatel’nosti [Engineering industry and life safety], 2012, № 1 (11). – P.31-39. Bulkin V.V., Bulkin A.V. Raspredelenie vetrovyh potokov v urbanizirovannom prostranstve kak jelement sistemy kon-trolja jekologicheskoj obstanovki [Distribution of wind flows in an urban space as an element of control environmental conditions] // Mashinostroenie i bezopasnost’ zhiznedejatel’nosti [Engineering industry and life safety], 2008, № 5. –P.14-20. Belyaev V.E., Bulkin V.V., Kirillov I.N. Operativnyj akustolokacionnyj monitoring prizemnogo sloja atmosfery [Operational monitoring acoustic location atmospheric boundary layer] // Mashinostroenie i bezopasnost’ zhiznedejatel’nosti [Engineering industry and life safety], 2010, № 7. –P.18-21. Smit K. Principles of Applied Climatology.– McGraw-Hill Book Company (UK) Limited, London, 1975. Panova M.S., Bulkin V.V. O dostovernosti kontrolja sinopticheskih parametrov pri nalichii i otsutstvii vozmushhajushhih faktorov tehnogennogo haraktera [The reliability of the synoptic control parameters in the presence and absence of disturbing factors manmade] // Metody i ustrojstva peredachi i ob-rabotki informacii [Methods and the transmission and processing of information], 2010, № 1 (12). – P.38-40. Bulkin V.V., Grigorjuk E.N., Bulkin A.V. Analiz vozmozhnogo vlijanija raspredelenija vetrovyh potokov na harakter rasprostranenija zagrjaznjajushhih veshhestv v okrestnostjah Muroma [An analysis of the possible impact of the distribution of wind flows on the distribution of contaminants in the vicinity of Murom] // Mashinostroenie i bezopasnost’ zhiznedejatel’nosti [Engineering industry and life safety], 2012, № 2. –P.16-19. Bulkin V.V., Belyaev V.E., Kirillov I.N. Model’ passivno-aktivnoj akustolokacionnoj jekologo-meteo37. Ryazapov A.Z., Vasyuchkova E.I., Voronich S.S., Bagryantsev V.A., Slepchenko V.N., Lomakin G.V. Vozmozhnosti razvitija apparaturno-metodicheskogo obespechenija regional’noj sistemy jekologicheskogo monitoringa [Opportunities for the development of hardware and methodological support of the regional environmental monitoring system] // Jekologicheskie sistemy i pribory [Environmental Systems and Devices], № 7, 2012. –P.13-17. Pervushin R.V. Model’ izmeritel’noj radiometeorologicheskoj sistemy [Model radiometeorological measuring system] // Metody i ustrojstva peredachi i obrabotki informacii [Methods and the transmission and processing of information], 2009, № 11. –P.406-410. Bulkin V.V. Sovmeshhjonnye radiolokacionnye sistemy meteorologicheskogo naznachenija [Combined radar systems for meteorological purposes] // Radiotehnicheskie i telekommunikacionnye sistemy [Ra86. Demidenko A.G. Opyt primenenija GIS-tehnologij KB “Panorama” pri postroenii avtomatizirovannyh sistem monitoringa[Experience in the application of GIS technology KB “Panorama” in the construction of automated monitoring systems] // Inzhenernye izyskanija [Engineering surveys], 2009, № 10. – P.62-66. Sharapov R.V., Sharapova E.V., Tsvetnikov A.V. Geoinformacionnaja sistema edinogo jekologicheskogo monitoringa regiona [Geoinformation system of unified environmental monitoring region] // Valihanovskie chtenija-10: Sbornik materialov mezhdunarodnoj nauchno-prakticheskoj konferencii [Proceeding of Valihanov reeds 10]. Vol. 9. Kazakhstan, Kokshetau, 2005. – P.263-266. Solovjev L.P. Sovershenstvovanie sistemy monitoringa selitebnyh territorij naselennyh punktov jekologo-jekonomicheskih sistem [Improvement of monitoring residential areas of ecological and economic systems] // Mashinostroenie i bezopasnost’ zhiznedejatel’nosti [Engineering industry and life safety], 2013, № 2. –P.15-19.